Pay only $500.00 if you register your camper before May 15th. The 10% Discount for brothers attending camp together also applies. 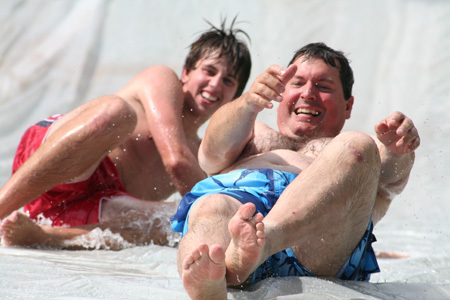 Did we mention just plain old fashioned fun? 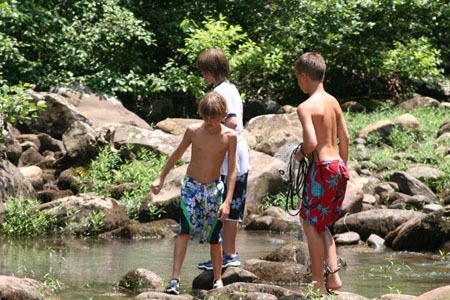 Camp Subiaco is a summer camp for boys between the ages of 9 and 13 inclusive. Since 1941 we have served boys with a proven program of recreational activities with life experiences that has satisfied thousands of boys of all races and creeds. We have two summer Camp sessions which are one week long. Campers are divided into two distinct divisions for each session "The Trojans" and "The Ravens". 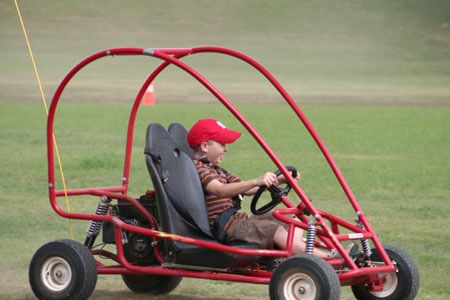 Each division has been designed to accommodate the needs and experience of our campers. 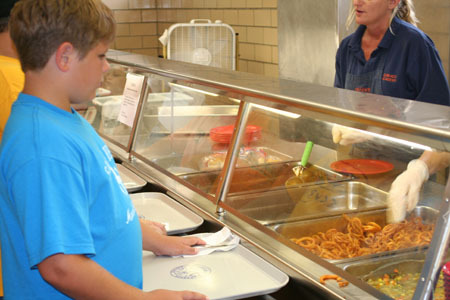 Campers are assigned to a division and then to a group based on age and elementary school grade level. 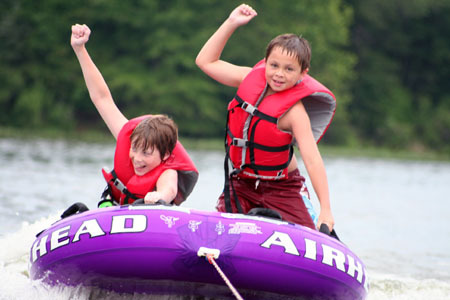 Over the many years, we have had campers repeat their experience time and time again. After age 13 some of campers have enjoyed their experience so much that they have gone on to become students of Subiaco Academy and eventually Subiaco Alumni. Campers who are at least 12 years of age will be assigned to the TROJAN division and then to a team. These campers are typically going into the 7th or 8th grade. 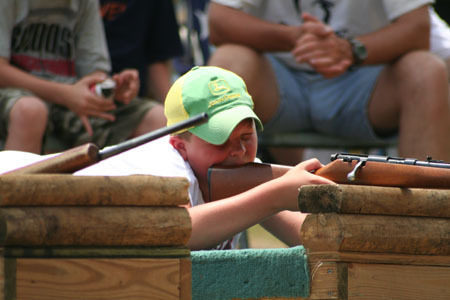 If a camper is younger than 12 years old and is scheduled to enter the 7th grade in the fall then an exception to the age requirement is considered. The Trojans will have a slightly different camping session which is more suitable to their age and interests. 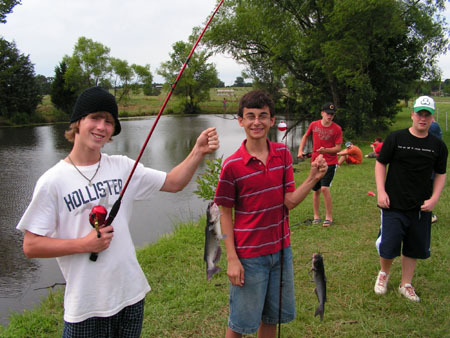 Many of campers are seasoned veterans and enjoy the new adventures and activities. 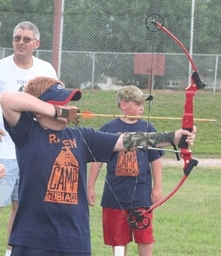 Raven campers are between the ages of 9 and 11 years old. These campers are typically going into the 4th through 6th grade levels. If a camper is 8 years old and scheduled to enter the 4th grade in the fall then an exception to the age requirement is considered. Campers in this division are assigned to teams based upon their age. This helps to align the boys to other boys with similar interests and experiences. Many of our Ravens have returned to camp for yet another summer session of adventure, fun and everlasting friendships.